Mark Sundeen is the author of several books, including The Man Who Quit Money and the coauthor of North by Northwestern, which was a New York Times and Wall Street Journal bestseller. He has taught fiction and nonfiction in the MFA creative writing programs at the University of New Mexico and Southern New Hampshire University. He and his wife divide their time between Fort Collins, Colorado, and Moab, Utah. 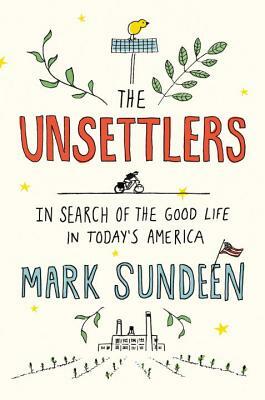 "From a crop of orphaned garlic plants in Detroit to a tipi birth in Montana, Mark Sundeen’s The Unsettlers is rigorously reported and utterly enthralling. With candor, wit, and live-voltage curiosity, Sundeen profiles pioneers who have developed better ways to live in our overdeveloped world. The Unsettlers isn’t in the business of guilt or shame mongering, but it will certainly—if you have a pulse and a laptop, or even an electrical socket—make you question how you live in the world as well."